Lately, I’ve been following the trials of numerous former dictators of countries that were in the Arab Spring. One of them peaked my curiosity. The life and lies of one of Libya’s most hated men still haunts the minds of many citizens in Libya. This episode has decisively reached a closure. His trial just recently began. Despite this, he still remains an elusive figure whom many details about his personal life are esoteric. This man is none other than the despised Libyan military leader, Abdullah Senussi. Shockingly, Senussi’s trial was supposed to occur years ago and only now it is finally taking place. Although his trial initially began about a year ago, it still hasn’t reached a conclusion. Moreover, Senussi has secured well known and high profile human rights lawyer, Amal Clooney, to represent him. Thus, the intended outcome of this trial, Senussi being held accountable for his crimes and facing strict penalties, may differ from the actual outcome of the trial. I have several thoughts regarding this trial and why I would not be surprised if Senussi magically manages to win his way through. First, the conduct of the trial itself is unusual. This trial is no longer being held in The Hague but is rather going to be held in Tripoli, Libya. The International Criminal Court has greater jurisdiction in The Hague than in Libya. The movement of the trial away from the authority and jurisdiction of the International Criminal Court in The Hague already increases the likelihood for corruption to ensue. Instead of being prosecuted by the International Criminal Court, he will be prosecuted by Libyan authorities. The Chief Prosecutor of the International Criminal Court even revealed that she had no information on how this trial was being conducted. Libya is denying access to public or broadcast screenings and an official from the United Nations was surprisingly denied entry to Libya. Additionally, the trial that has been taking place has not been about the war crimes that Senussi is accused of committing but rather whether Libya should be allowed to try him or not. The trial regarding his war crimes is still in its initial stages. Despite the horrendous crimes and Amal Clooney representing him, the trial shockingly remains minimally covered. Also, when the International Criminal Court demanded that Libya hand him over, Libya refused. This refusal to hand him over undermines the credibility and power of the International Criminal Court and also adds to fears that the trials of Senussi and other war criminals may be turned into show trials. In fact, the International Criminal Court will not even be presiding over this trial. I find this trial to be further complicated because Clooney happens to be representing him. In the past, she has represented clients that include but are not limited to Wiki-leaks founder Julian Assange, jailed Egyptian-Canadian journalist Mohamed Fahmy, former Prime Minister of Ukraine Yulia Tymoshenko, and even served as an advisor to United Nations special envoy, Kofi Annan. However, she also represented controversial figures in the past such Hamad bin Isa Al Khalifa, the King of Bahrain, who was accused to committing human rights abuses in order to suppress protests and uprising movements. She’s justified her decision to represent Senussi by arguing that everyone has the right to a defense lawyer. Due to her high success record, I wouldn’t be surprised if Senussi receives a lighter sentence. Another factor that tips the scales in Senussi’s favor is the relatively low profile he has kept throughout his life. Prior to the 1970s, he was an ordinary Libyan national in obscurity who didn’t garner much attention. His marriage to Muammar Gaddafi’s wife’s sister propelled him to the elite social circles of Libya. Shortly afterwards, he assumed various roles such as deputy chief of the external security organization. A few years later, he would become the head of the Libyan Military Intelligence. Despite being an influential adviser and a close confidante of Gaddafi, he managed to avoid the limelight and was not well known amongst the international community. This comparative anonymity that Senussi maintained has helped distance himself from the actual war crimes that he has committed. Regardless of how invisible Senussi is or whoever is representing him, there is absolutely no excuse for the crimes he has committed and it is horrendous for anyone to condone his actions. Throughout the 1970s and 1980s, he silenced many of Gaddafi’s political opponents through murders. The permanent silence darkened the Gaddafi regime and also solidified Gaddafi’s control over Libya since any political opposition towards Gaddafi was effectively crushed. As a result, the blood on Senussi’s hands helped Gaddafi stay in power. However, Senussi would commit more atrocities in later years. He is believed to have planned the Lockerbie bombings which killed 259 people in 1988. These murders would continue when in 1989, he orchestrated the successful bombing of a French airliner flying above Niger that killed 170 people. In the subsequent years, he would kidnap and murder political dissidents and people who spoke out against the Gaddafi regime. Acting as the iron fist and sword of Gaddafi, he brutally murdered any opponents of the regime, which resulted in a significant number of people jailed without receiving a fair trial. The atrocities he committed throughout his tenure as the head of the military intelligence are trifling when contrasted with the barbaric act that took place in 1996, where he massacred over 1,200 prisoners at the Abu Salim prison. Various human rights violations were committed ranging from outright murder to inhuman torture methods. 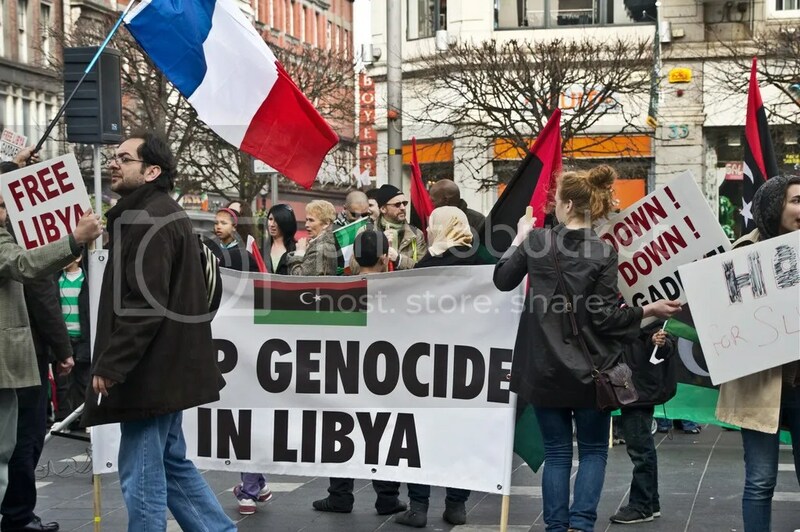 Not surprisingly, the Libyan government initially denied that such a massacre took place. In 2005, Senussi changed the story alleging that prisoners had captured some guards, stole their weapons, and then attacked the remaining guards resulting in a conflict. Then in 2009, the Libyan government altered their story again by claiming that the prisoners rebelled and that the guards were forced to defend themselves. In a fair trial, Senussi would have swiftly been brought to justice and held accountable for what he did. However, this trial is anything but fair and just. Although his actions are inexcusable and should not be condoned, the unfortunate reality is that he could potentially get away with his crimes. One can simply look at the delay it has taken for justice to reach Senussi. There were calls for his arrest as early as 2011, yet the minimum was done to locate him or bring him to justice since he was initially believed to have been killed in bomb blasts. In 2012, he was finally arrested at an airport in Mauritania and brought to Libyan authorities. Ever since then, he has managed to stay away from the media or public eye and most have forgotten about him. Whatever the verdict will be, it will be interesting to watch. Senussi has been able to lead a life of deception, trickery, and malevolence while ruthlessly slaughtering political opponents and working as the iron fist for Gaddafi. However, justice has finally caught up to Senussi and as puzzling as it is that Clooney is representing him, it will be distressing if he somehow is able to avoid justice. It is for all of these reasons combined that the Senussi trial may differ from its intended outcome and Senussi could end up either escaping justice or receiving a lighter sentence. Hopefully, justice will be served with Senussi being held accountable for his crimes.